While much of this is a fine, if a little dry, survey of out current state of knowledge about the ancient Roman army, I have two main complaints: this needs more pictures (there are of course many fine illustrated books about the Roman army out there, but they usually lack the scholarly sophistication of this book--what we need is a good combination) and a better focus (the encyclopedic nature results in lots of repetition and a rather scattered non-narrative account)--for example, in Chapter 8, we get pages of summary about Marius, Pompey, and Caesar in the famous generals section, but it tends to be more focused on their political narrative than on their generalship. I liked it. 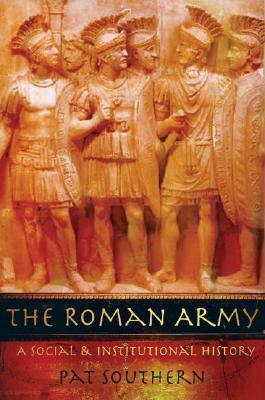 A good primer for starting a study of the Roman Army. It touched on a very large swath of information on the institution and showed its evolution over the years. I did not like that it got repetitive at times and that the writing style did not have a very even flow. However, this will prove to be a useful reference work in the future for obtaining information about the Romans. Although this is a better-than-average review of the Roman army, once again, an author who is a supposed expert on ancient Rome perpetuates the (long disproven) contention that Caesar burned the Alexandrian Library. This kind of error lessens the overall worth of the book. I am reading this as I get free time. This is giving me some good information. Cannot wait to read more.